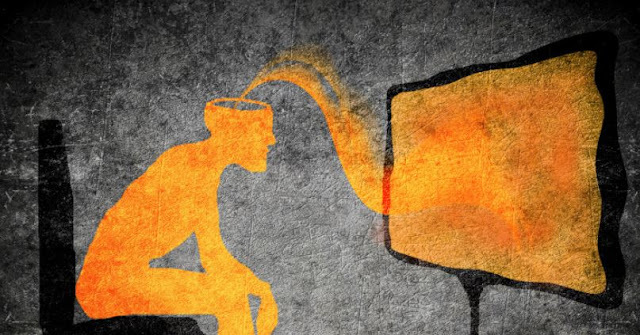 There have been tons of articles and almost as many theories about predictive programming. Predictive programming is when events are depicted in a movie or TV show that later come to pass. You can search and come up with hundreds of hits for movies and shows ranging from the ‘Sandy Hook’ Map in Dark Knight Rises to The Simpsons Predicting the Ebola Outbreak and the Death of Prince. Oh – and the author of the Hunger Games trilogy, Suzanne Collins, lives in Sandy Hook and her books deal with child sacrifices…I’m just sayin’. At least sometimes, coincidences do happen. For example, in 1898 Morgan Robertson wrote a novel called Futilityabout a ship called the Titan that hit an iceberg on its maiden voyage. Fourteen years later the Titanic sank, after hitting an iceberg on its maiden voyage! You can read more about the similarities between the book and the real eventhere. Now, in this case, I really doubt that the author arranged for the White Star Line to commission a ship called the Titanic and then had it sink in mid-April after hitting an iceberg the first time it left port. In the 1998 blockbuster, ‘The Siege’, New York is attacked by terrorists and is subsequently locked into a state of martial law. Could this have prepared viewers for The World Trade Center attacks and the controversial legislation that followed, such as the USA Patriot Act, the“President’s Surveillance Program”, and the creation of the US Department of Homeland Security? A person who watched ‘Minority Report’ in 2002 might be less alarmed when technologies such as facial recognition, retina scanning, driverless cars, predictive crime-fighting andpersonalised advertising start to become commonplace in their own reality. And it works. A multi-million dollar industry has been created from self-help tapes and CDs that are played while a person sleeps to improve some aspect of the person’s life. Experiments with inserting a subliminal message about snacks right before a break in a movie increased snack sales during the break. This technique is heavily used by companies with products to sell. Even if you have a tendency to be mind controlled, it’s possible to snap out of it. I wasn’t always the tinfoil-clad blogger you see before you today. When I was in my early 20s, I truly did believe that the government agencies like the EPA and the FDA were looking out for our best interests, that food or medicine wouldn’t be sold if it was harmful, and that schools truly were in the business of educating children. Most of us have to shake off our early training at the hands of the education system and the television.